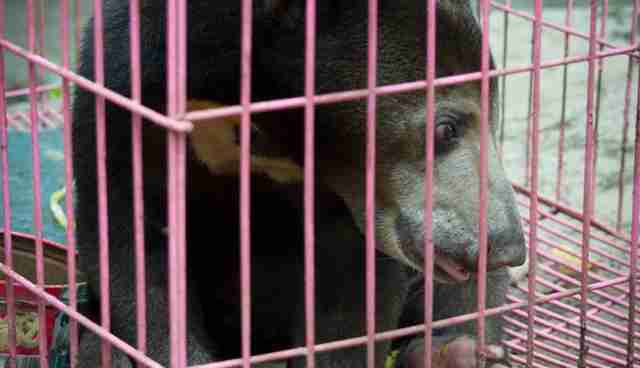 A young sun bear named Miss Vientiane, also known as Little Missy, began her life ripped away from her mother. 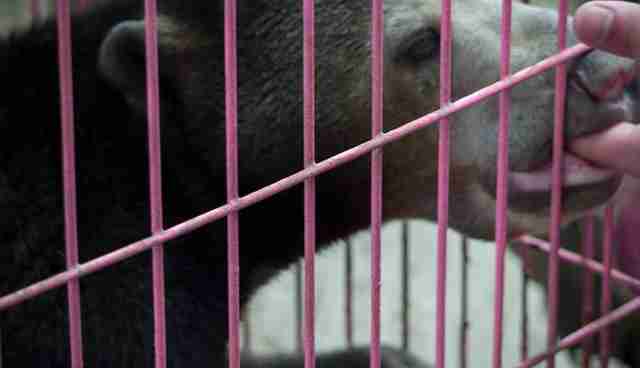 She was put up for sale in an illegal wildlife market in the country of Laos in Southeast Asia. Bought by a local family, Miss Vientiane was treated like a household pet. But as often happens in situations where wildlife is expected to become a domestic member of the family, the illusion that Miss Vientiane would settle in quietly and perfectly was eventually shattered. So Miss Vientiane's owner made other plans for her. 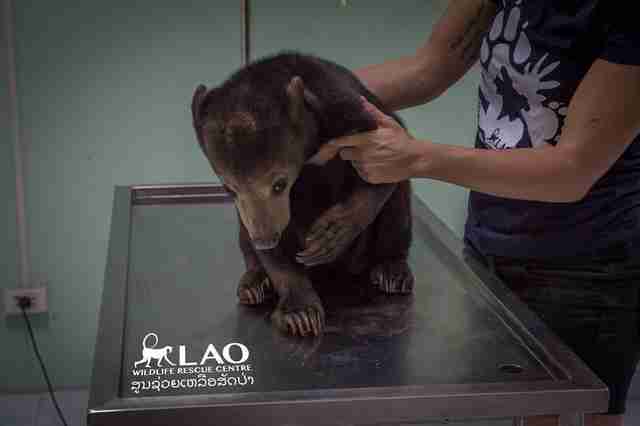 "As she became too expensive for him to care for he was about to resell her to Chinese businessmen who had shown interest," the Laos Wildlife Rescue Center (LWRC) wrote on Facebook. If resold, Miss Vientiane's fate was worrisome. 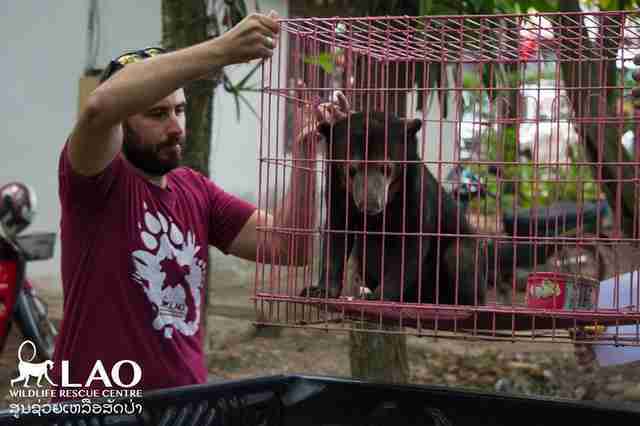 "It is well-known even for local people that bears are valuable on the black market for medicinal use or consumption," Michelle Walhout-Tanneau, director of LWRC, told The Dodo. 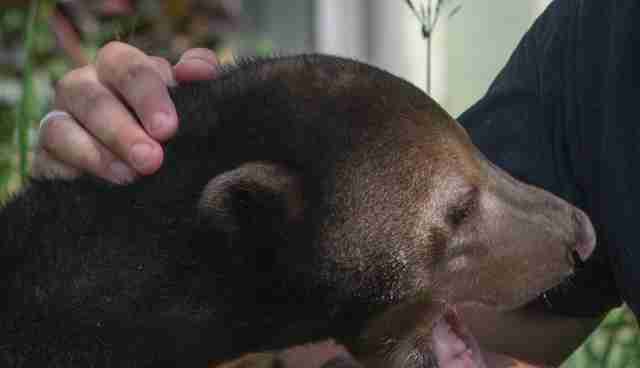 Fortunately for the bear, she was in exactly the right place at exactly the right time to be rescued. A group of motorcyclists happened to be touring Laos in the Sainyabuli province - an area notorious for large mammal wildlife markets, Walhout-Tanneau said. 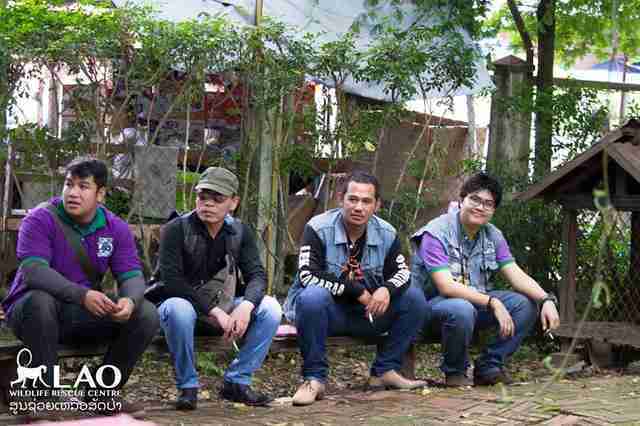 The bikers came across Miss Vientiane's owner and learned about what was to become of her - and then they worked their magic. 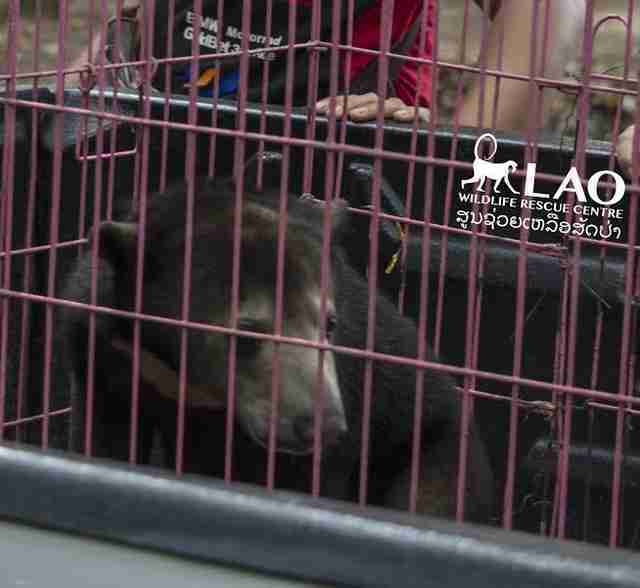 "The bikers had heard of LWRC before and convinced the family to hand the bear over to them so they could bring it to a safe sanctuary at LWRC, rather than selling it to the Chinese businessman with whom she would likely suffer a horrible [fate]," Walhout-Tanneau said. Then, in a grand display, Miss Vientiane arrived at LWRC with a motorcade made up of 20 bikers. Miss Vientiane now resides at LWRC. Due to legal complications, habitat loss and the potential for human-animal conflict, she will be unable to return to the wild. "Although we try to provide all our rescues with rehabilitation and enclosures as close to nature as possible, for us a rescue like this always goes combined with a sense of deep grief," Walhout-Tanneau said. "Not only has the mother of this bear likely been killed in front of her eyes, she will also most likely never be truly wild again." 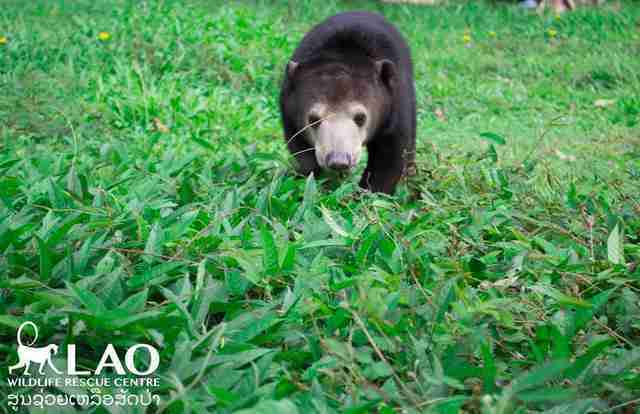 The rescue is now working on raising funds to build Miss Vientiane her own enclosure, since LWRC's current bear fields are already filled with adult bears rescued from various illegal wildlife and pet trade operations. 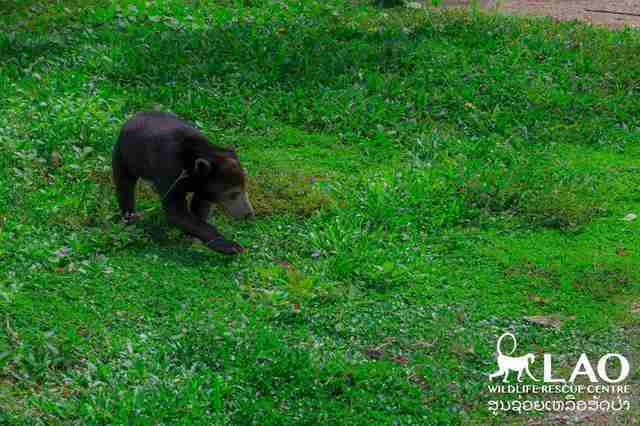 The rescue will support her as she grows up as a strong female bear. In the meantime, she especially enjoys her daily walking adventures with her caretakers. 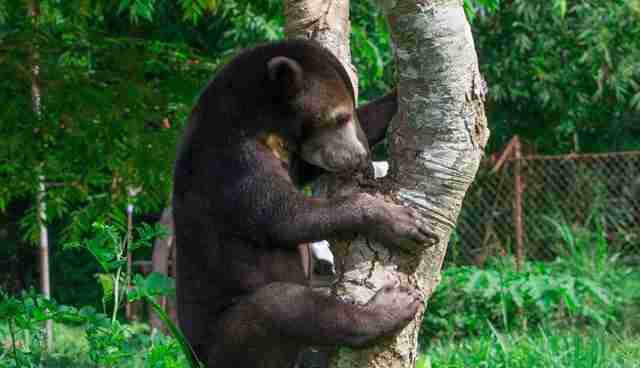 Sun bears are a vulnerable species whose biggest threats in the wild are habitat loss and commercial hunting, according to the International Union for Conservation of Nature (IUCN). 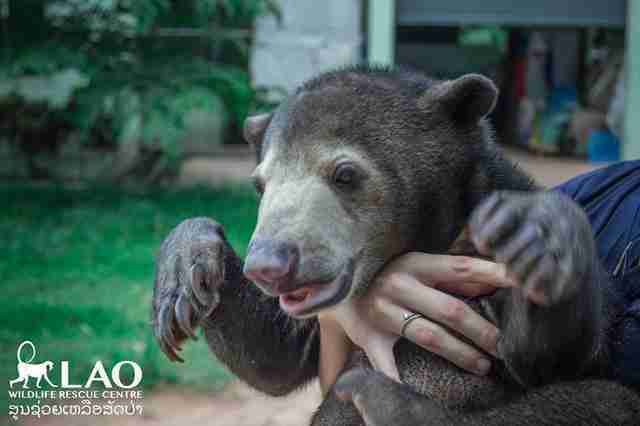 "Little Missy's story is one of many as the illegal trade in high volumes of protected wildlife - such as bears - is showing a steep growth in Lao PDR," the rescue wrote on Facebook. "Not only is the local domestic demand for illegal wildlife meat spiking, also a large percentage of the demand is coming from rich neighboring countries such as Vietnam and China." According to the rescue, most of these animals end up being consumed, while only some become pets. 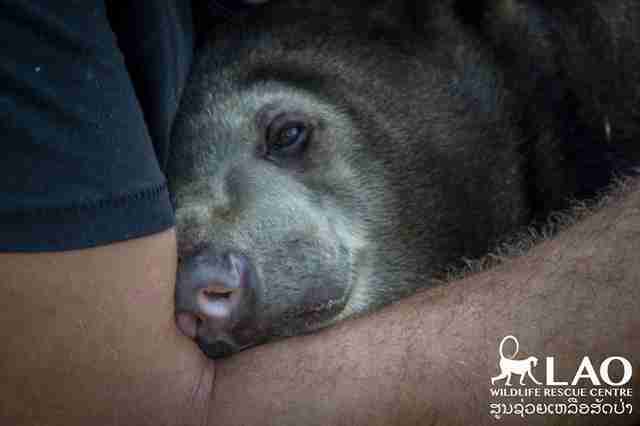 Still, for LWRC, Miss Vientiane's memorable rescue is also a special one. 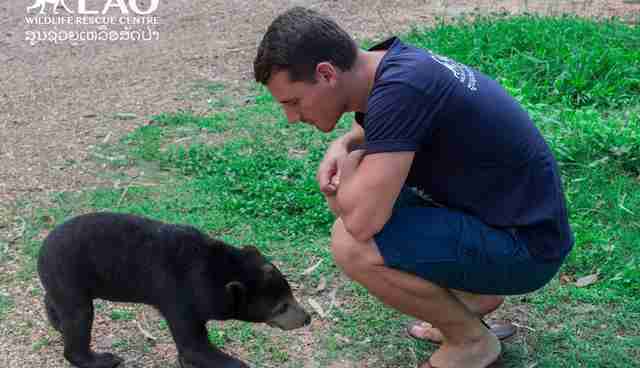 "It is not often that local people rally together to come to the aid of wildlife in Lao PDR," Walhout-Tanneau said. "But this foresees a promising future in our opinion." You can keep up with Miss Vientiane's adventures on Facebook. 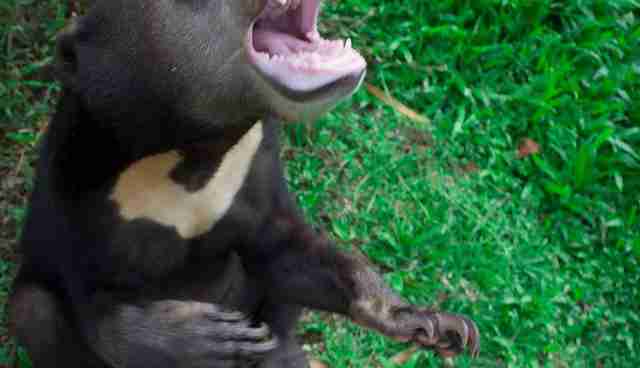 Want to help Miss Vientiane get an enclosure of her own? Consider making a donation here.